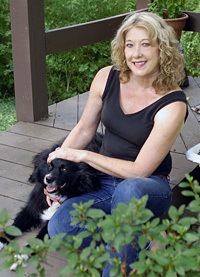 Cathy Smith Bowers was born in the small town of Lancaster, South Carolina. She was one of six children born to a mill worker and a housewife. Smith Bowers received her bachelor’s degree in English in 1972 and a master’s degree in English in 1976, both from Winthrop University in Rock Hill, South Carolina. In 1973 Smith Bowers started her career as a high school English teacher in her native South Carolina. She worked there for ten years before becoming an English instructor at Queens University in Charlotte. She also served as director of composition from 1989–1995 and as poet-in-residence from 1996–2004. She is currently on the faculty for Queens’ M.F.A. in Creative Writing Program, UNC Asheville’s Great Smokies Writing Program and at Wofford College in Spartanburg, South Carolina. Her powerful poems about family and loss have appeared in The Atlantic Monthly, The Georgia Review, Poetry, The Southern Review and The Kenyon Review. She is the author of four books: The Love that Ended Yesterday in Texas (inaugural winner of the Texas Tech University Press First Book Competition, 1992); Traveling in Time of Danger (Iris Press, 1999), A Book of Minutes (Iris Press, 2004), andThe Candle I Hold Up to See You (Iris Press, 2009). The poet has received several awards including Queens University’s 2002 J.B. Fuqua Distinguished Educator Award and the Gilbert-Chappell Distinguished Poet Award given by the North Carolina Poetry Society in 2006 and 2007. Smith Bowers lives in Tryon with her gifted and talented border collie, Manna.